QSSI, WMS, EDI. Our Lingo software helps keep it all together. QSSI for the warehouse. eZCom for the EDI. PowerhouseWMS keeps you in command of the warehouse. Lingo puts you in control of your EDI. QSSI WMS plus EDI. Our Lingo software keeps everything connected. 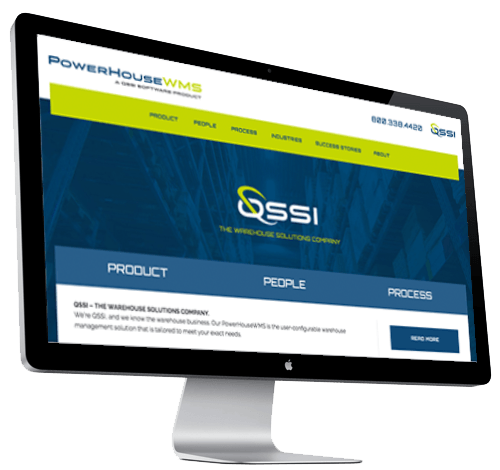 into your QSSI PowerHouse WMS. If you rely on warehouse management software from QSSI, you want an EDI platform that makes connections seamless and straightforward, allowing you to maintain information that is accurate and timely. Lingo from eZCom does that. And more. When Lingo is integrated with the QSSI PowerHouseWMS, you have a powerful system that automates EDI transactions to reduce the errors manual entry can create. You’ll be able to exchange data seamlessly without switching back-and-forth between applications, improving compliance with your Trading Partners and enhancing your most important business relationships. Integrated EDI is not only important, it’s vital as your company expands. When you choose Lingo to run with your QSSI PowerHouseWMS, it will scale as your business grows. Create UPS and FedEx shipping labels without leaving the Lingo application. With Lingo connected to QSSI WMS, you can stay on top of direct-to-consumer and direct-to-store shipping. Whether EDI or digital commerce, we power transactions. The pace of change in retail is rapid, and eCommerce stores and online marketplaces continue to expand. Chances are, you’re now selling products just about anywhere potential customers might find them. A Shopify, WooCommerce, Magento or BigCommerce store, or Amazon, Jet, or eBay — if it’s a channel that generates sales, you want to be on it. It all makes your warehouse management software critical, and integrated EDI essential. Our vast experience in EDI makes us well-suited to handle all kinds of transactions, including those from ecommerce platforms, and our connections to PowerHouseWMS are seamless.